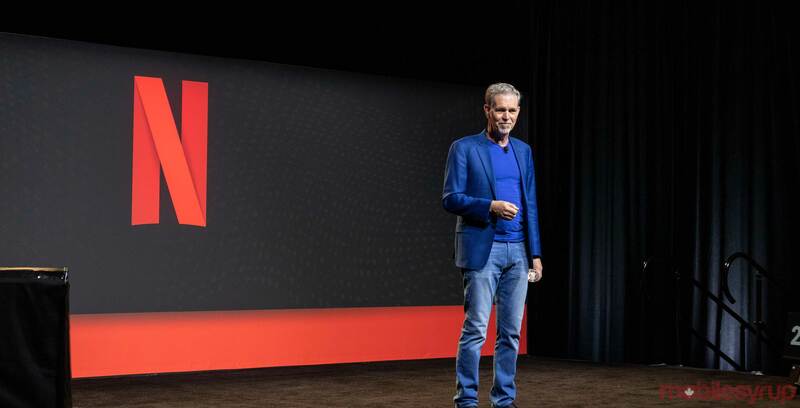 At an event at Netflix’s office, the company’s CEO Reed Hastings confirmed that the streaming service will not be featured in Apple’s rumoured upcoming streaming video service. “Apple’s a great company, we want to have people watch our content on our service, so we’ve chosen not to integrate into their services,” said Hastings. It seems Netflix is preparing to compete with Apple head-on on the streaming video space. Netflix also opted not to partner with Apple when the company’s ‘TV app’ launched in the U.S. back in 2016. The app aggregates content from other streaming services like Crave and CBC’s Gem into one TV guide-like location. Apple’s TV app launched in Canada in September 2017. Netflix doesn’t allow customers to sign up for its service on Apple’s devices to avoid the 30 percent cut the streaming giant takes from all subscriptions. While Apple’s streaming platform is set to feature original content produced by the tech giant, the platform is rumoured also to include established premium video content services like HBO and Starz. That said, it’s unclear if these services will also make their way to the Canadian version of Apple’s streaming video service given Bell owns the exclusive rights to HBO and Starz content in Canada.